Loshak: "I invented the term 'living art.' It may not be the best one, but I believe it’s more understandable than contemporary art, which sounds like a bureaucratic term." The collateral program of the 57th Venice Biennale features the May 13 public opening of the “Man as Bird. Images of Journeys” exhibition at Palazzo Soranzo Van Axel. The event is organized by Moscow's Pushkin State Museum of Fine Arts, home to the famous collections of Impressionist paintings donated by Sergei Shchukin and Ivan Morozov, recently featured at the Louis Vuitton Foundation in Paris. The exposition features works by 14 artists from Argentina, Belgium, Germany, Italy, Japan, the Netherlands, and Russia. It’s a declaration of the classical museum's plans to expand into the territory of modern art, and an international presentation of the “Pushkin Museum in the 21st Century” project. 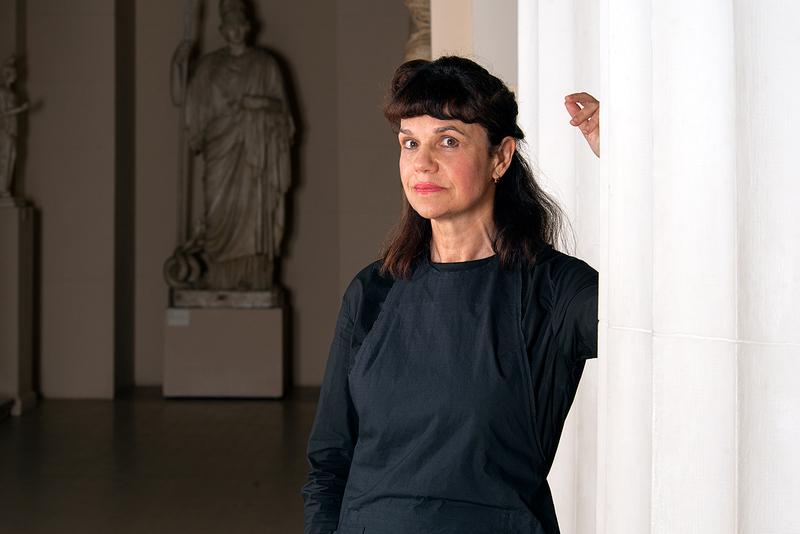 Museum director Marina Loshak told RBTH about the upcoming exhibition and her personal contemporary art preferences. RBTH: Why did you choose Venice for presenting your project? Marina Loshak: We decided that our Moscow audience is already aware of our intention to work with contemporary art and our plan to introduce “living art” in the museum. Our traditional visitors are treated to exhibitions from Wim Delvoy and Yasumasa Morimura, to Irina Nakhova. Our partners and the international community still think our program is more of a manifesto, as opposed to the Pushkin Museum doing something new, but they’re wrong. We receive enough foreign visitors but many people are still not able to visit us. So we decided that Venice would be the right place to make our first step in this direction. All the major players in the contemporary field will flock to the city, all those professionally involved in “living art” who develop it internationally. I invented the term. It may not be the best one, but I believe it’s more understandable than contemporary art, which sounds like a bureaucratic term. How did you choose the artists for your Venice show? They are all different, and we chose them based on how well their works matched the project's topic. Some of the works were specially commissioned for the exhibition, others have long become part of history, like Leonid Tishkov's "Moon" project. It has long been known as a canonical project, but we simply had to include it. There are other artists, such as my beloved Martin Honert, whose projects we would love to exhibit in our museum. The exhibition will be the first step towards our collaboration. Incidentally, I’ve dreamed of including Honert in one of our exhibitions ever since I first saw his works at an exhibition in Berlin's Bahnhof. In Venice we will be showing a rare work by him borrowed from a European private collection. We desperately needed this work, with its motif of loneliness and the absolute isolation of modern life. What are your personal preferences when it comes to contemporary art? Which artists would you like to exhibit in your museum? All the artists we would like to exhibit are already on show. There are of course many more artists out there but we are physically restricted in how many we can put on display. This is why we very much hope to get a separate place where we could exhibit contemporary art. We would like to exhibit both contemporary and recently deceased artists of the 20th century. Our wishlist is fairly long, and they are all very different. Take Christian Boltanski, who is totally "our man," as are Anselm Kiefer and Jenny Holzer. In fact, Holzer has visited us twice and we are planning to use her works in installations on the facades of our two buildings. What about the space for the ‘Pushkin Museum in the 21st Century' project? We absolutely need that! And it needs to be separate from the generous exhibition space we will get after the completion of the "museum town," which is currently under construction. It needs to be a standalone space, because we need to create the right atmosphere for it. We have a very clear vision of how it will be organized.